My father was a truck driver. My mother was as a bookkeeper at a truck stop. My first career out of college was as a private investigator. So how did I get to be that guy who investigates and advocates psychics and mediums? Well, when you’re in a difficult place in your life, you open your mind to new possibilities. In my case, my father died at the age of 64 and I wondered where he went—if anywhere. So I decided to use my skills as a private eye to find out. 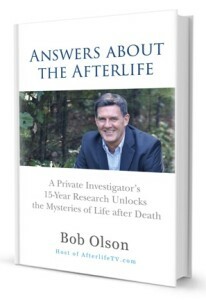 My investigation of life after death led me to discover mediums, which then led me to psychics. And, through all this, I discovered four secrets about psychics and mediums that might surprise you. 1. Psychics and mediums are kind, compassionate, and legitimately gifted. That’s right, the abilities of most psychics and mediums are real and their motives to help people are genuine. The psychics and mediums I know—and I know hundreds—really care about their clients. And they actually assist people to work through their day-to-day struggles, their grief, and their personal crises, which run the gamut from relationships to finances and purpose. Sure, some are more naturally gifted than others, some are better trained, some are more experienced, and some of their reading styles might suit your personality better than others. But the majority of them do what they do out of a sense of purpose and passion. 2. Psychics and mediums are extraordinarily courageous. This is not an easy career choice, partly due to many people’s skepticism and erroneous beliefs about their vocation. Do you think it’s easy when a psychic meets someone new who asks, “So what do you do?” That simple question alone can send a little tingle of anxiety through their entire bodies. Why? Because you never know how the other person is going to respond. If they are skeptical . . . if they fanatically religious . . . if they have never known anyone who gives readings, chances are that person is going to say something out of place, something skeptical, or something outright challenging. And the loving and caring people I know who are psychics and mediums deal with this weekly, if not daily. Quite frankly, being open about being a psychic or medium takes a lot of guts. It means that their calling, and their passion for helping others with their unique abilities, is more important to them than protecting themselves from criticism, negativity, and even ridicule. This is why I admire the many psychics and mediums who acknowledge their calling openly, proudly and courageously. 3. Psychics and mediums are people, too. After having experienced readings with hundreds of psychics and mediums since 1999 for my research, what I’ve learned from them is that psychics and mediums are individuals. Hence, they offer readings that are different from one another in many ways, even though they are also very similar in many ways. They are sensitive. They have good days and bad days. They have financial struggles and sick relatives. Some deal with disease, depression and divorce like other people. Some are optimists. Some are pessimists. Some are grounded. Some are woo-woo. The wonderful news about all of this is that they are human, just like you and me. Sure they have a weird ability to know things that we can’t explain, or they can talk to people in another dimension; but to most of these gifted people, this is as fascinating and unexplainable to them as it is to us. And that’s one of the many character traits that I love about them. What do you know? Psychics and mediums are people, too! 4. Psychics and mediums help people move through the challenges of life. Being a psychic or medium is not an easy life, but it is a fulfilling one. That’s because people with these abilities literally transform people’s lives with their readings. They help people who are at a crossroads in life. They help comfort people’s grief. They help people learn to be more loving, forgiving and kind. This is why I’m such a strong advocate for psychics and mediums. My point in writing this piece is to encourage you to open your mind to the individuals whose calling is to help people via their psychic or medium readings. I’m not a psychic or medium, and for reasons I mentioned I don’t think I would want to be. The path that took me from the skeptic I once was to the guy who connects the public with the most credible and gifted psychics and mediums in the world is simply called “having an open mind.” If you can open your mind enough to recognize that psychics and mediums are real, you might just get yourself an eye-opening, mind-blowing experience that can change your life for the better today.